At first blush, it might seem that data protection and disaster recovery (DR) for small businesses is a small-time concern. Nothing could be further from the truth. In point of fact, the impact of a disastrous event on a small business is potentially much greater than that experienced by a larger enterprise. For instance, almost 25% of businesses never recover after a disaster. Why? One big reason. When things go down in an environment with more limited resources, the ability to continue providing services to customers is more drastically affected. In a larger organization, IT assets can be shifted or switched out because, typically, a greater investment in audits and DR policies has been made, enabling one system to step in for another and take on its load without undue compromise in the quality or quantity of services being provided. Thus, there is more of an opportunity to maintain business continuity in situations that would result in severely curtailed or disabled functionalities for smaller organizations. So, what can smaller businesses do to match the backup and recovery capabilities of their larger counterparts? The answer (as it commonly is with smaller players pitted against larger ones) lies in focusing more on brains than brawn. For smaller organizations, that means playing IT safe with cloud-based DR technology. In general, most small businesses gravitate toward on-premises appliances for their backup and recovery needs. These allow them to maintain direct access to their data, applications and services, and respond immediately in the event of a catastrophic event or failure. As proprietary solutions, they also have the advantage of being able to give in-house IT professionals full control over their operation and maintenance. Whether working with physical systems in which the appliance is supplied by the data protection and DR provider, or a virtual environment in which only the software is supplied, it’s invariably easier to house and manage the whole process internally. Some disaster scenarios involve the destruction or disablement of on-site installations. Severe weather conditions, extreme systemic failures, or even terrorist activities can serve to bring down even the most robust and carefully constructed backup and protection operations. These contingencies may have been anticipated and planned for by the establishment of a second site where data, applications and systems can be replicated in the event that such a scenario were to actually be enacted. Unfortunately for the small business customer, budget and resources to manage a second site often become untenable. Another challenge with that approach is that even if they could afford a second data center, what happens if that second site itself becomes compromised or destroyed? For businesses to ensure they are playing IT completely safe, there is one invaluable alternative—the cloud. Replicating data, applications and systems to the cloud offers the most failsafe means of keeping those assets both out of harm’s way and readily available in the event of a disaster. Of course, if that was all there was to it, the cloud story wouldn’t be nearly as interesting as it actually is. Storing data, applications and systems in the cloud is one thing, but there are a number of additional advantages to leveraging cloud-based technology. For instance, Disaster Recovery as a Service (DRaaS) solutions extend the power of the cloud by giving it a far greater array of both storage and retrieval capabilities. Organizations can transfer their IT assets to disk and have that delivered to an on-site facility when appliances housed there have been re-configured, repaired, or replaced. DRaaS also enables businesses to move their operations to a live, remote environment where users can gain access to their data and applications, and work with them in real-time to maintain business continuity until a full restoration is achieved. This represents a dramatic departure from the standard pre-cloud process of standing up a proprietary data center because it addresses three primary issues. First, costs. These go down considerably, since there is no infrastructure to build and maintain. Second, integration. Cloud solutions are easier to incorporate into an overall mix of data protection and disaster solutions. And third, the implications of second site failure are markedly diminished. But there is one more issue DRaaS addresses that is also of significant importance to any business, regardless of size or infrastructure complexity. Compliance testing. Critical applications must be tested with regularity and precision to ensure recovery time objectives (RTO), recovery point objectives (RPO) and service level agreement (SLA) commitments are met. It doesn’t matter whether a business is large, small or in between. A sophisticated DR plan is required for any enterprise to thrive in today’s data-saturated environment. That means every business has to take an increasingly holistic look at planning for any event that might impede their flow of business or disrupt their customers’ operations. A thorough understanding of best practices is mission-critical to the success of that endeavor. As businesses which have gone through it understand, developing a DR policy is only half the task. The other half lies in setting management expectations and building a rigorous enough testing regimen to ensure its viability. Today, cloud-based DRaaS not only provides all those capabilities, but serves as a platform for the future. 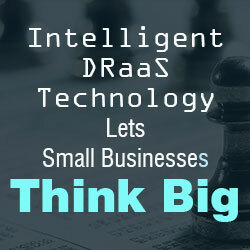 In the days ahead, the emphasis of DRaaS technology will be on increasing levels of automation and intelligence. For example, a higher IQ version of DRaaS technology will enable the recovery of an entire IT stack and provide instant automated failover. Self-service portals will follow, along with public storage gateways, giving businesses the power to reach outside their storage facilities and move from a private cloud environment to a public cloud of their choice such as Amazon or Azure. This is of particular importance to small businesses, as it will enable them to achieve a new level of DR parity when they can manage storage between clouds, broaden cloud gateways and meet their orchestration and compliances requirements on a highly-individualized basis predicated not on arbitrary parameters, but a sophisticated solution mix of physical, virtual and cloud-configured technologies determined by each organization’s specific needs. One of the most important effects of the digital age has been a quantum shift not so much in technology itself, but in how we interact with it. Regardless of what an organization does, when people gain access to more intelligent solutions, they tend to concentrate less on point products or product-specific features and benefits, and more on the exponential ability to accomplish mission-critical tasks and achieve desired results that an overall solution set provides. As a result, smaller businesses, often younger and more agile, are more able to effectively compete across a highly diversified marketplace. With the movement of ideas and the means of directly converting them into reality becoming faster and more fluid, an increasing body of evidence shows that the elemental concern of technologists is swinging from whiz-bang wizardry to integrated solution platforms that can fulfill the aspirations governing an organization’s activities, interests and objectives. What does that mean when it comes to IT protection and DR for small businesses? It means that they can think big by applying that digital sensibility to the protection of their work environment with the same measure of confidence as their more ample counterparts. While they may be the new kids on the block, the ever-increasing intelligence of technologies like DRaaS give them the power they need to stand up to any competitor out there. As vice president of product management & marketing, Subo Guha is responsible for defining Unitrends’ product strategy, roadmaps and approach to market enablement. For the past 20 years, he has served in a variety of executive roles in the areas of cloud, automation, virtualization, systems management and server technologies at leading companies including CA Technologies, Dell, NCR and Egenera Inc. 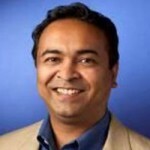 Prior to Unitrends, Subo was vice president of cloud solutions at CA Technologies, where he was responsible for CA’s cloud and virtualization strategy, products and solutions. He was instrumental in driving CA to a No. 1 rank in cloud systems management and new acquisitions in capacity planning. Previously, Subo was a senior vice president at Egenera, a data center automation company, where he drove all industry partnerships and ecosystem development. Prior to Egenera, Subo was an executive at Dell for 10 years. Serving as the executive director of software product management and marketing, Subo was responsible for the company’s systems management and virtualization strategy and was tasked with reinventing Dell’s software marketing organization. Subo was also responsible for driving product sales and spearheading the division’s OEM and partner model. He was also part of the original team that grew Dell’s server market share to No. 1 in the U.S. Subo has a Ph.D in Business Administration from the University of South Carolina’s Darla Moore School of Business. He holds a Master’s and Bachelor’s degree in Engineering and received his Bachelor’s from the Indian Institute of Technology. He has over 16 major publications in MIS journals, including a book chapter, and is a frequent speaker at industry events in the areas of systems management and virtualization.